The predecessor to Flexitallic’s U.S. business entities was founded in England during the mid-19th century. Flexitallic relocated to Camden, New Jersey in the early 1900s, solidifying its business presence in 1912 after developing the first spiral-wound industrial gasket. Flexitallic was the sole manufacturer of this product until the 1940s. Over the years, the company developed a number of other proprietary gasket products for use in various industries. In 1963, a group of Connecticut investors purchased the company and incorporated it as Flexitallic Gasket Co., Inc. British asbestos conglomerate T&N PLC (originally known as Turner & Newall Ltd.) bought out the business in 1970. 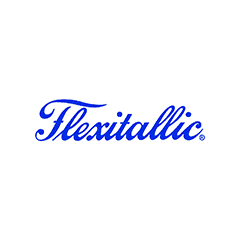 In 1986, T&N moved the company to Delaware, renaming it Flexitallic, Inc. The company changed names yet again, becoming Gasket Holdings, Inc., before T&N sold its assets to Dan-Loc Bolt and Gasket in 1997. Dan-Loc gave the company its current name, The Flexitallic Group, and moved its headquarters to Houston where the business continues to operate today. In April 1997, when T&N sold the Flexitallic trade name and assets to Dan-Loc Bolt and Gasket, T&N and Gasket Holdings, Inc. agreed to protect Dan-Loc from any asbestos-related claims arising from products sold prior to the date of sale. About a year later, T&N began crumbling under the weight of asbestos lawsuits and was purchased by Federal-Mogul. As part of the purchase, Federal-Mogul agreed to honor the original indemnity agreement with Dan-Loc. The T&N/Flexitallic claims, in turn, proved too much for Federal-Mogul to bear. The company, along with subsidiary Gasket Holdings, Inc., filed for Chapter 11 bankruptcy protection in 2001. If T&N PLC asbestos lawsuits were the driving force that sent Federal-Mogul into bankruptcy, Flexitallic Gasket Company claims led the way, accounting for nearly 158,000 of approximately 350,000 asbestos-related claims against the company. The current Flexitallic Group, owned by Dan-Loc, does not use asbestos to manufacture its products. Because the company has not sold or distributed asbestos products, neither the Flexitallic Group nor Dan-Loc Bolt and Gasket bear any direct independent liability for asbestos-related claims as a result of the 1997 asset purchase and concurrent indemnification agreements. Exposed to Asbestos at Flexitallic Gasket? Workers who manufactured products for the Flexitallic Gasket Company may have suffered harmful levels of asbestos exposure. Pipefitters, shipyard workers, refinery workers and boiler workers may have also been exposed to Flexitallic products when removing old gaskets from pipe flanges. Flexitallic’s spiral-wound gasket was the sole asbestos-containing product manufactured by Flexitallic Gasket Company and the primary cause of asbestos-related claims against the company. The gasket was made by spiraling alternating strips of asbestos tape and metal into an interior ring, which was then fitted inside an exterior metal ring. The asbestos tape contained up of 90 percent chrysotile asbestos. Asbestos was a choice filler material because of its superior resistance to corrosion, which is caused by alkalinity in liquids or gasses that may pass through the gasket. Manufacturers also valued asbestos for its extremely high melting point. In 1992, Flexitallic discontinued the use of asbestos in its products and made no further sales of asbestos-containing gaskets. Asbestos lawsuits against Flexitallic Gasket Company typically arise from exposures related to the spiral-wound industrial gasket, which the company once filled with asbestos. A study published in May 2016 in the Journal of the Air & Waste Management Association evaluated asbestos-containing parts in 414 consumer appliances manufactured between 1986 and 2007. Chrysotile asbestos was detected in gaskets and compressors in appliances such as refrigerators and washing machines. High concentrations of asbestos were detected in gaskets on vehicles such as motorcycles. In 2001, 22 Texas refinery workers suffering from asbestosis filed a case against Flexitallic and other manufacturers, winning a total amount of $35.2 million in compensation.